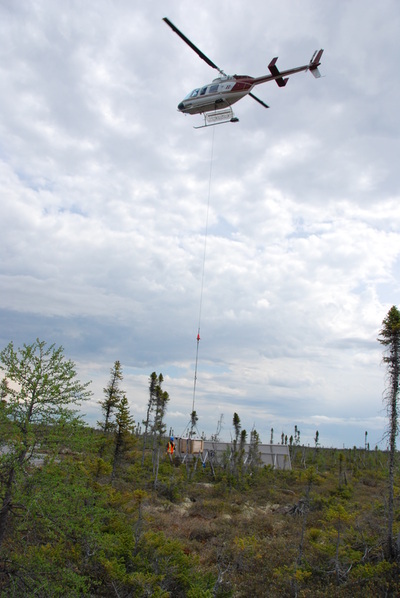 Located at west of Atiwabiskat, on the DeBeers Victor mine provided an opportunity to study a regionally disturbed peatland by mine pit dewatering. 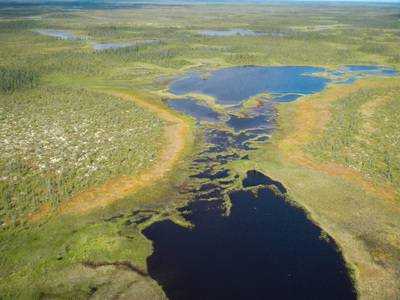 Located in the Hudson/James Bay Lowlands (HJBL), the second largest wetland complex in the world comprising an area of over 320,000 km2, second only to the Western Siberian lowlands. The HJBL began as the glaciers melted allowing the Tyrell Sea to flood the lowlands 8000 years ago, resulting in a very large and flat basin underlain by a clayey silt, on which eventually formed massive peatland expanses. 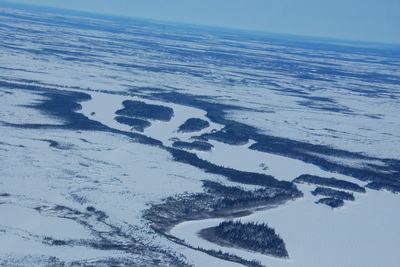 Between 2007 and 2010, three research locations were identified and instrumented: main transect; tributary Five A, and MS-15. 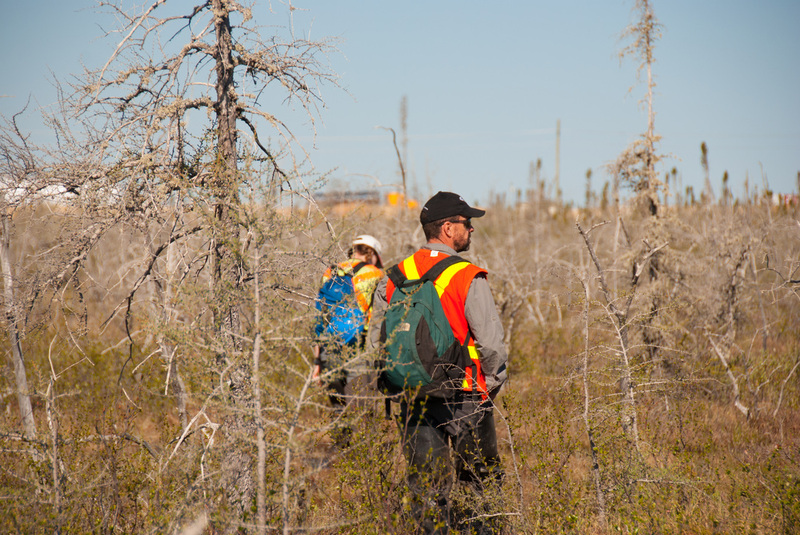 The main research transect is located approximately five km northwest of the mine pit and runs north west for 1.5 km, crossing over two arms of North Granny Creek. Bioherms (stranded ancient coral reefs) anchor the transect at both ends. The northern section of the transect is located within a suspected enhanced recharge zone where, based on current models, the expected rate of groundwater recharge (due to pumping) exceeds the mean annual precipitation minus evaporation value. This is due to the presence of many (greater than six) bioherms. 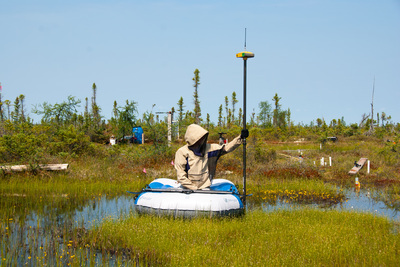 Research conducted here looked to determine the water table drawdown surrounding bioherms and to improve our ability to characterize the connectivity between peatland types (e.g. 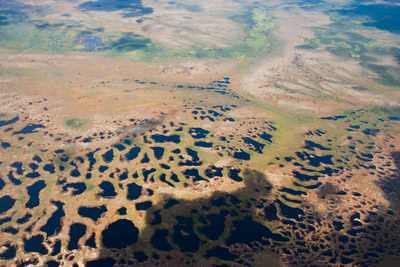 bog and fen). 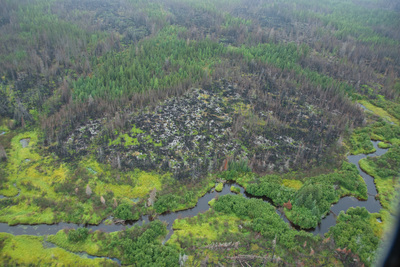 The hydrological regime of peatlands is adjusted to the flows and stores of water – an ecohydrological feedback system where patterns of vegetation growth, decomposition and accumulated remains (peat) form the substrate that controls water conditions for plants. Disturbance such as drainage will cause an adjustment of the quasi-equilibrium state. 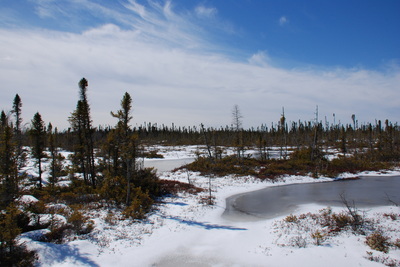 Peatlands represent an environment where net carbon dioxide sequestered often exceeds carbon lost due to decomposition and respiration, disturbance to the hydrology of the natural peatland ecosystem, such as underdrainage via groundwater dewatering, could impact regional carbon cycling. 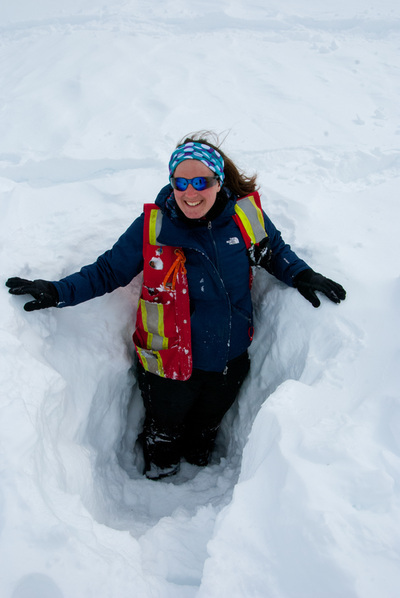 Emily Perras, used hydrological parameters (conductivity, pH, isotopic signatures) to help solidify the classification of the array of peatland types surrounding the mine, as well as contribute to the landscape connectivity work. Melissa LeClair collected data on the groundwater and surface water contributions from each component of the landscape to streamflow. Scott Ketcheson conducted analysis on stream flow data from around the mine, to relate stream flow behaviour to watershed composition and connectivity. 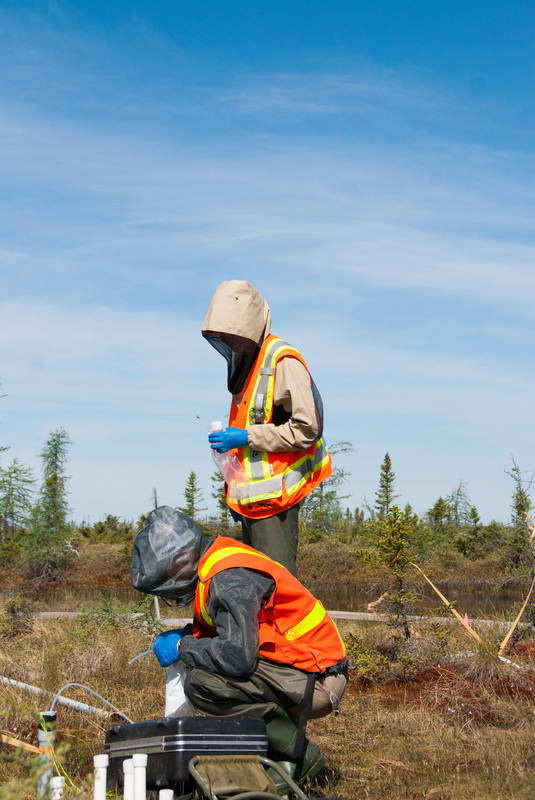 Pete Whittington focussed on bioherms and their impact on peatland hydrology, while the other investigates snowmelt within the muskeg around the mine. Kompanizare, M., and Price, J.S., 2014. Analytical solution for enhanced recharge around a bedrock exposure caused by deep-aquifer dewatering through a variable thickness aquitard. Advances in Water Resources. 74, 102-115.